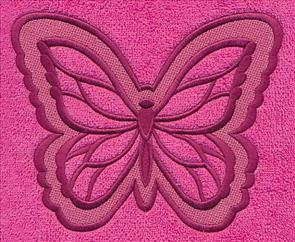 Discover a delightful mix of new embroidery designs in a very special Request Fest. 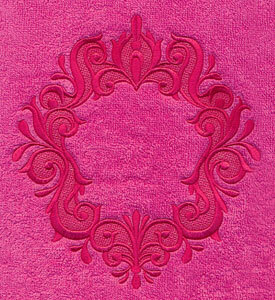 Embossed embroidery, a longtime favorite, is back with a variety of stylish motifs. 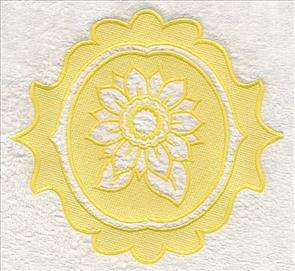 Vintage-inspired floral borders will bring a bright look to your kitchen. 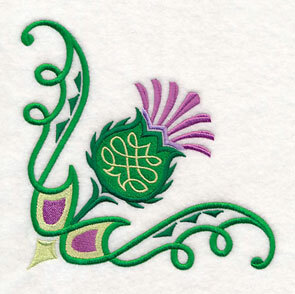 Classic Celtic knotwork and cute shamrocks will help you create a bit of Irish and Scottish cheer. 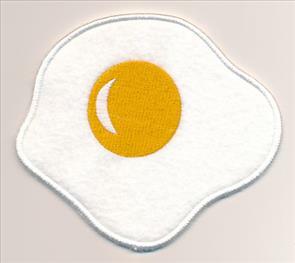 Plus, we're serving up breakfast -- in-the-hoop! 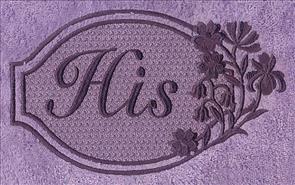 Order these delightful designs today! 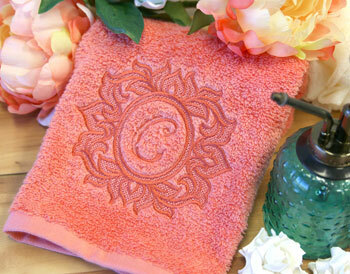 Make bath time blissful with beautiful towels, embossed with embroidery! 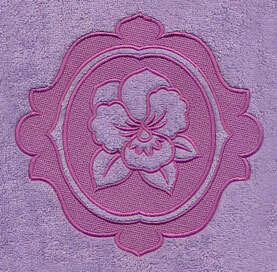 Lots of you have fallen in love with Embroidery Library's embossed embroidery -- and this week's Request-Fest lets this popular style bloom in beautiful new ways! A rose, pansy, and sunflower are encircled by frilly frames in this pretty trio of designs. 7.75" x 6.90" and 6.59" x 5.88"
7.82" x 7.58" and 6.07" x 5.89"
4.99" x 4.84" and 3.90" x 3.78"
7.79" x 7.19" and 6.38" x 5.89" and 5.24" x 4.84" and 3.89" x 3.59"
Embossed embroidery takes on a bold look in these two-tone marvels! 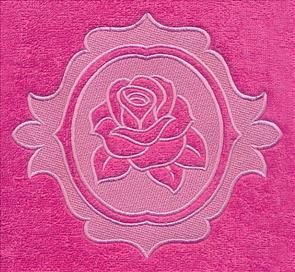 Create different looks when you choose thread colors lighter or darker than your base fabric. 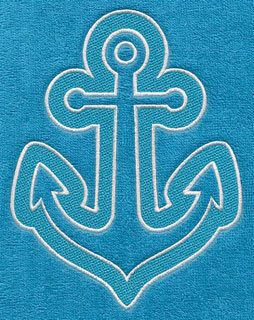 A butterfly, bee, anchor, and seashell will create summertime smiles wherever you stitch them! 7.80" x 5.73" and 6.63" x 4.87" and 3.88" x 2.85"
7.75" x 6.89" and 6.60" x 5.86"
5.47" x 4.86" and 3.88" x 3.45"
Give your monograms the royal treatment with these ornate frames! 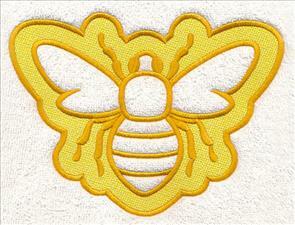 Fill the shape in the middle with your chosen letter, coordinating thread colors to tie the whole look together. 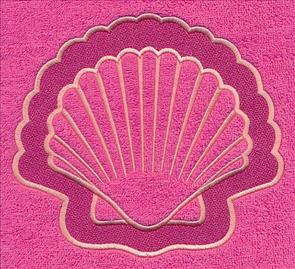 7.15" x 7.79" and 5.87" x 6.36"
7.80" x 7.08" and 6.48" x 5.88"
5.38" x 4.88" and 3.88" x 3.53"
To use these backdrop designs, you'll want to combine them with a letter. 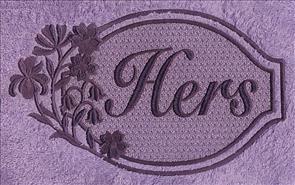 Check out the Layering Embossed Embroidery tutorial to learn how to do this, with or without embroidery software. 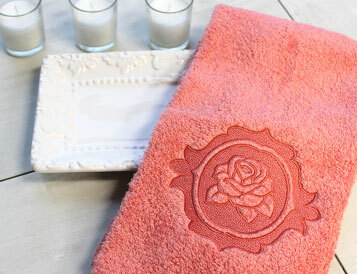 Plus, learn the basics of stitching amazing embossed designs in our new Embossed Embroidery video (and coordinating tutorial!). 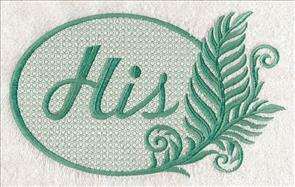 7.15" x 7.80" and 5.86" x 6.39"
5.87" x 9.14" and 5.01" x 7.80"
4.42" x 6.88" and 2.49" x 3.87"
His-and-hers towels are bath decor classics. 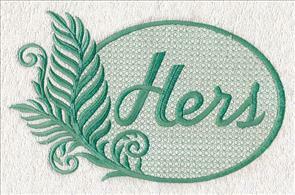 These pretty pairs, featuring flowers and ferns in silhouette, will make romantic gifts for your favorite couples! 9.40" x 5.71" and 7.80" x 4.74"
6.81" x 4.14" and 3.87" x 2.36"
9.41" x 5.70" and 7.81" x 4.73"
John requested designs for kitchen towels to complement vintage bowls. These one-color wonders are sure to delight! 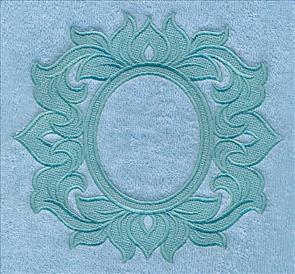 Satin stitch borders are nice and bold even on terrycloth dishtowels. 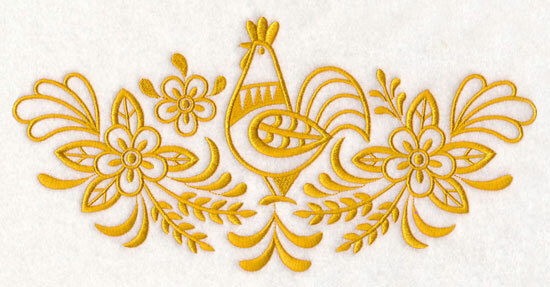 They'll look great on aprons, curtains, and more, too! 11.73" x 4.52" and 9.41" x 3.63" and 7.81" x 3.01" and 6.86" x 2.65"
11.73" x 5.72" and 9.41" x 4.59" and 7.81" x 3.81" and 6.87" x 3.35"
11.70" x 4.71" and 9.41" x 3.78" and 7.81" x 3.14" and 6.86" x 2.76"
Cathy requested a set of Celtic knot thistles, and these new designs are ready to bloom on magical, majestic projects! Twining knotwork adorns and frames these stately, bold blooms. 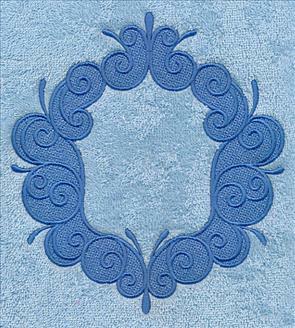 A circular feature, border, and corner will combine perfectly to decorate majestic projects from tiny to grand. 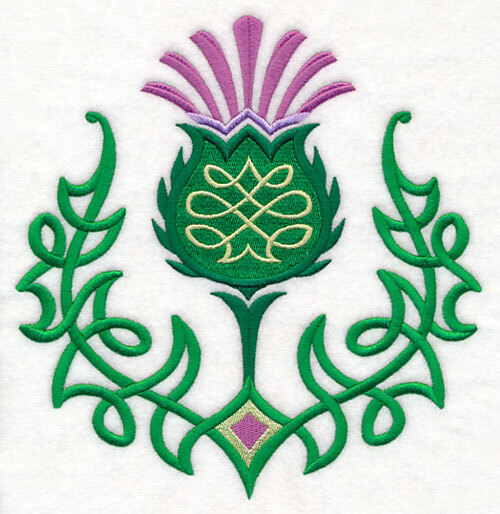 The national flower of Scotland, the thistle is beautiful but tough -- just like you! 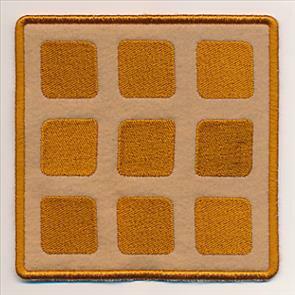 7.60" x 7.79" and 6.84" x 7.01" and 5.85" x 6.00" and 4.85" x 4.97" and 3.77" x 3.86"
11.01" x 4.11" and 9.38" x 3.50" and 7.81" x 2.92" and 6.00" x 2.49"
5.85" x 5.86" and 4.84" x 4.85" and 3.87" x 3.88"
Whooo Loves St. Patrick's Day? Just your luck! 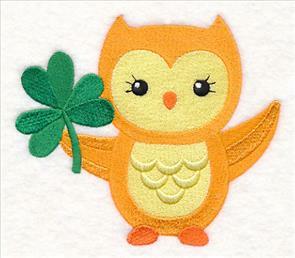 By request for LeeAnn, three adorable owls have just flown in to bring a bit of cute cheer to your St. Patrick's Day. 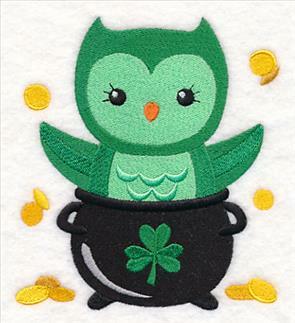 Frolicking in a pot o' gold, playing with a horseshoe, and picking a shamrock, they're sweet on shirts and more -- for kids of all ages! 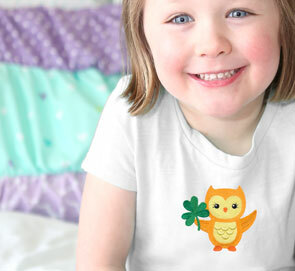 4.86" x 5.28" and 3.55" x 3.86"
These lucky owls are sweet on tees for kids of all ages! 5.58" x 4.85" and 3.85" x 3.36"
This cat has nine lives ... and the luck o' the Irish to boot! 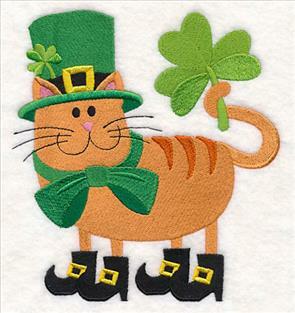 Kelly requested a St. Patrick's Day kitty for her niece, who loves the Frightful Feline, Feline Navidad, and Klean Kitties designs. 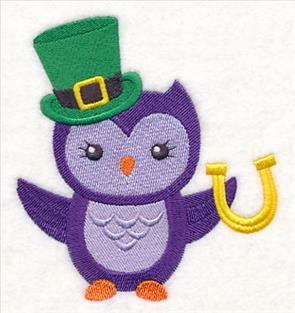 A top hat and bow tie, gold-buckled boots, and green shamrocks bring seasonal cheer to this adorable cat. 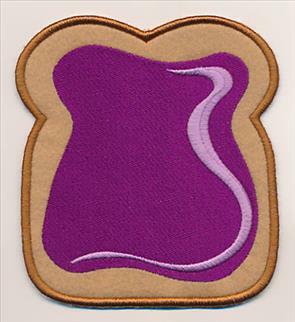 On sale - only $1.39! 5.85" x 6.37" and 4.85" x 5.29" and 3.54" x 3.86"
By request for Mary! 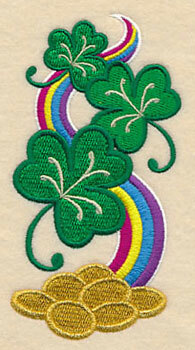 Greet guests with a bit of color and cheer this St. Patrick's Day. 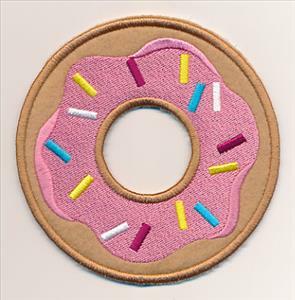 Stitch up this door hanger in-the-hoop then hang it on your door for a bit of holiday fun. 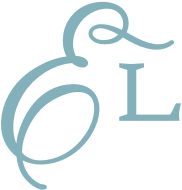 The design inside is available individually, too! 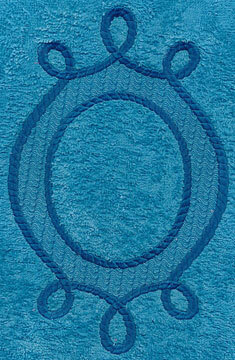 See how to stitch and assemble in-the-hoop door hangers right here. 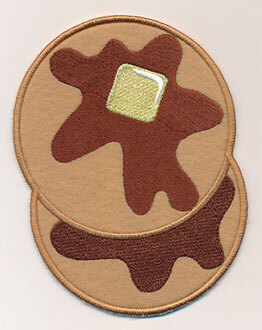 2.59" x 5.16" and 1.95" x 3.87"
You can stitch just about anything in-the-hoop ... even breakfast! 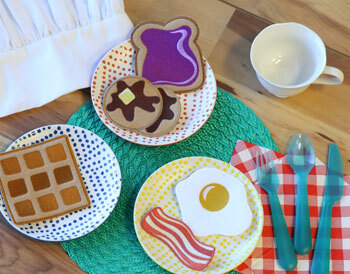 Eleanor requested in-the-hoop breakfast foods for her grandchildren, since they loved the s'mores so much -- and we're delighted to add these delicious designs to the menu! Follow the step-by-step tutorial to learn how to cook up these unique treats. 4.87" x 6.09" and 3.12" x 3.89"
5.40" x 4.86" and 3.86" x 3.48"
4.86" x 4.86" and 3.86" x 3.86"
Serve up a hearty helping of these in-the-hoop breakfast foods. Get them all now in a design pack -- regularly priced for $9.97! 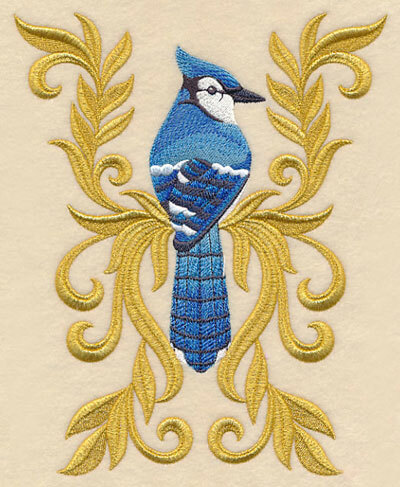 Barb requested a beautiful new design featuring her favorite feathered friend -- and this friendly blue jay, perched on ornate golden scrollwork was happy to oblige! 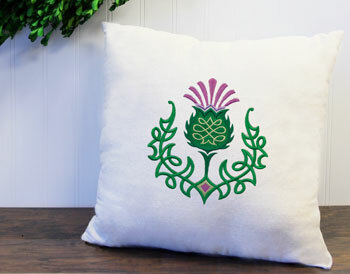 Truly majestic on pillows, wall hangings, and more. 6.88" x 8.51" and 5.86" x 7.24" and 4.86" x 6.01"